Our designers can decorate your venue for a truly memorable and elegant celebration. We can give your venue a traditional reception feel with our amazing decor packages. 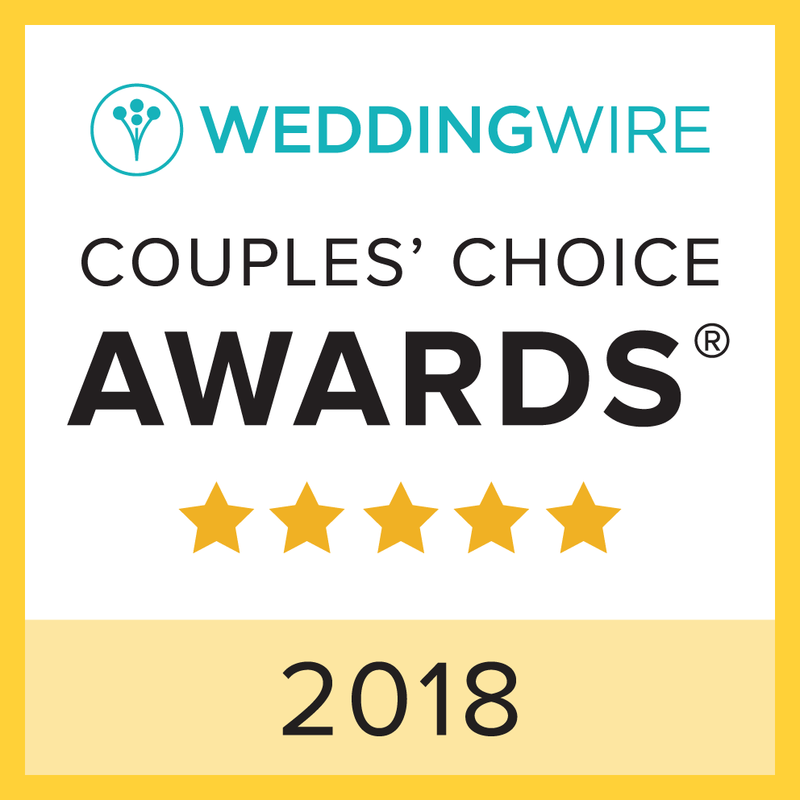 Contact your Weddings of Hawaii coordinator today for more information. Our reception decor packages are simple, set solutions to decorate your reception dinner. We'll have your tables set up at the venue of your choice. 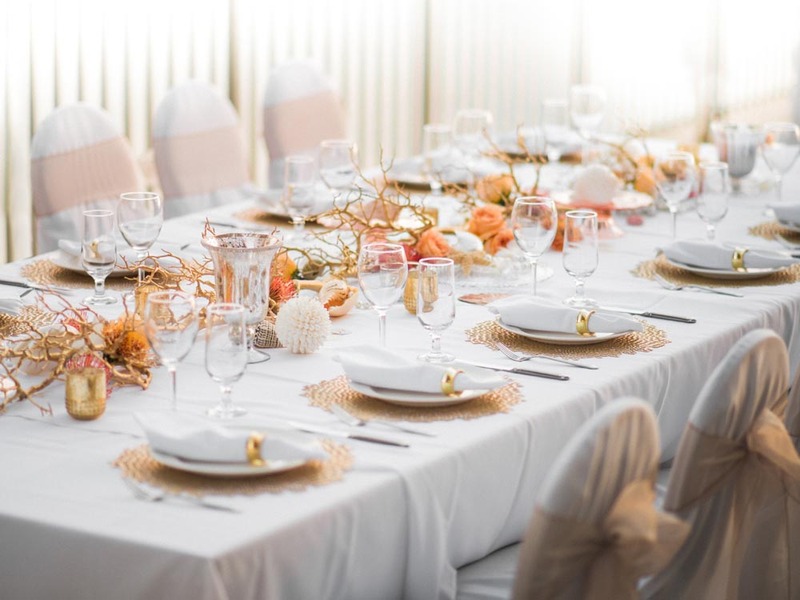 The Hawaiian Sunset Decor package includes all table linens, chair sashes, natural seashells, tea lights, and a variety of corals to create a beautiful seaside theme. Our Modern Tropical Decor package is inspired by the vibrant tropical flowers of Hawaii. 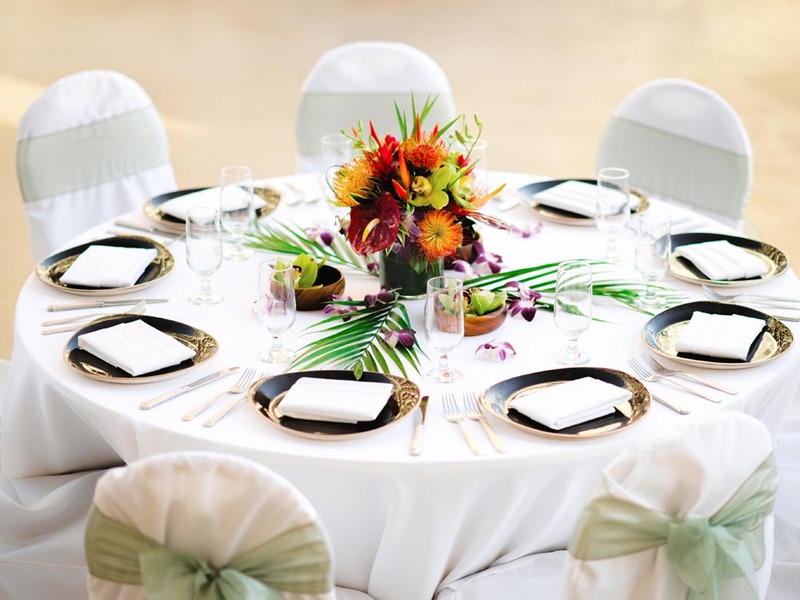 The beautiful colors compliment each other and create a true tropical ambiance perfect for your reception dinner in paradise. Our Ocean Elegance package is inspired by the beautiful blue waters of the Hawaiian seas. 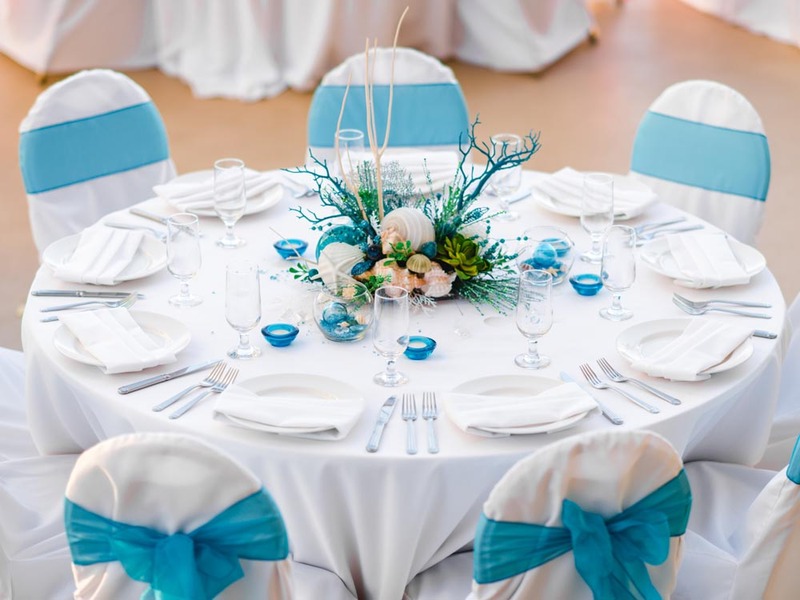 The vibrant aqua colors of the chair sashes, tea lights, coral, and other decor create a sparkling under-the-sea theme perfect for your island destination wedding reception. 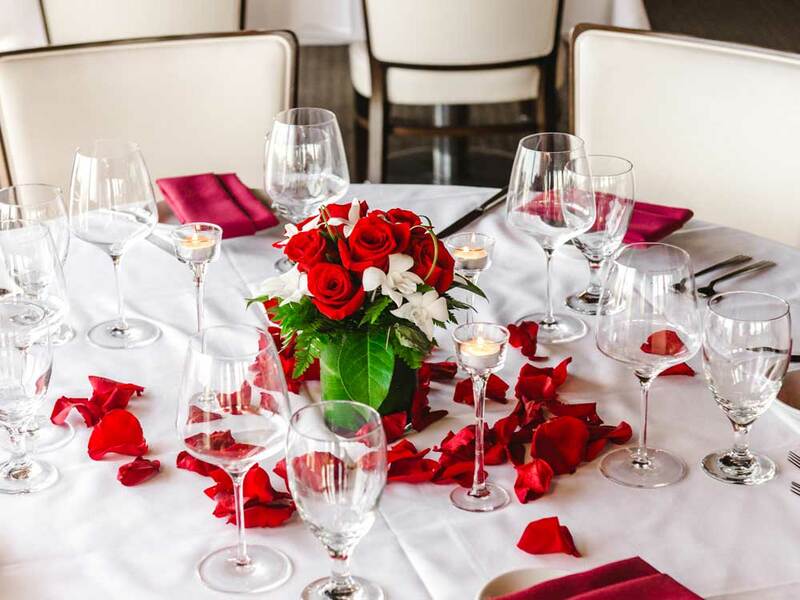 Our Intimate Romance package is perfect for a classic, elegant look. Your centerpiece of roses is the highlight of the decor, complemented by a scattering of rose petals and tea lights.